Song - I loved Despacito; Justin Beiber is my guilty pleasure. Movie - I loved La La Land, I know it technically came out in 2016 but I saw it in 2017. It was movie that grew on me and I like it more each time I watch it. Plus the music is so catchy. 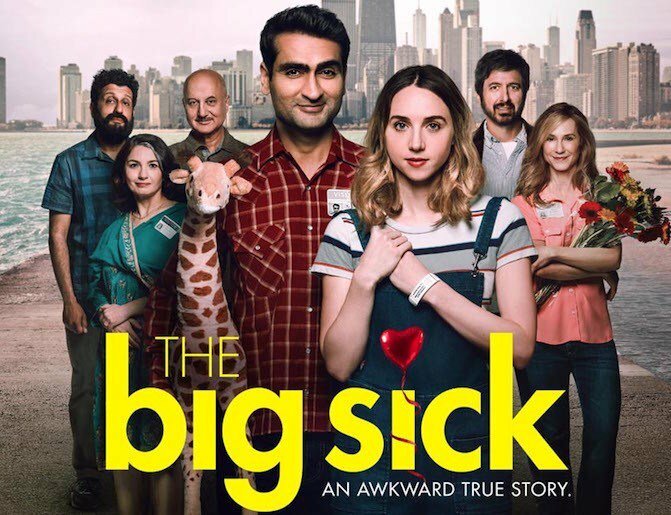 Another favourite movie was The Big Sick. It is exactly the kind of movie I like - cute love story with quick humour. Check it if out if you haven't already. Ray Romano is the hidden star of this movie. 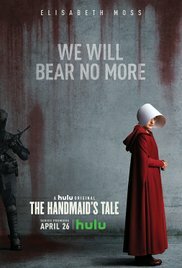 TV Show - I really enjoyed A Handmaid's Tale. The acting and production is phenomenal, and plus it was filmed in Ontario and is based on a Canadian novel. I am excited for season 2. And I can't go without mentioning Big Little Lies. It may be the first time I've loved the "movie"(mini-series) just as much as the book. And I still think about 13 Reasons Why all of the time. 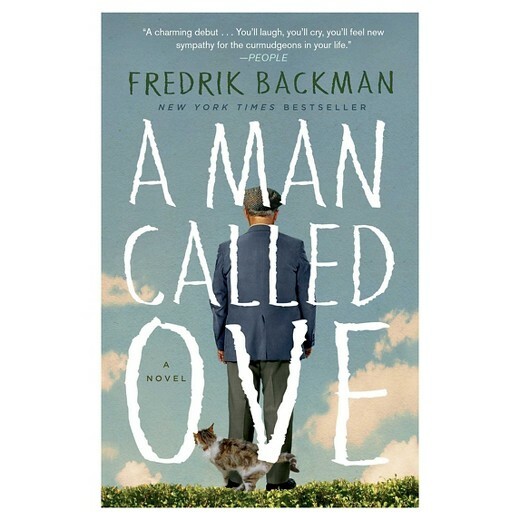 Book - The best book I read this year was A Man Called Ove and I recommended it to everyone I met after that. 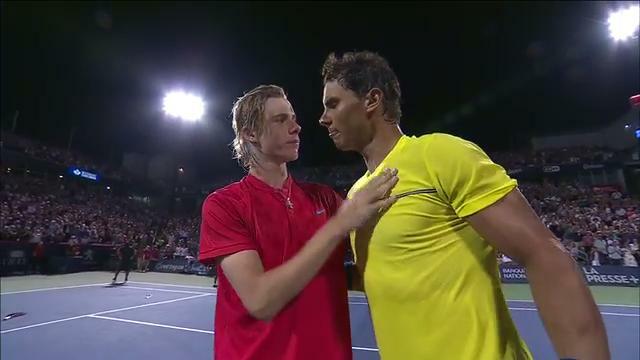 Sport Moment - I loved watching Denis Shapovalov beat Nadal at the Rogers Cup and then go on to have a pretty successful week at the US Open. I am excited to see how he'll do in 2018. YouTube Video - The video of the kids barging in on the dad while he's doing the interview. There are so many great elements of the video, but I also found it fascinating the amount of commentary that it spawned. Meal - At our resort in Jamaica there was a jerk hut on the beach and it was so delicious. I ate there about 3 times and now I love getting Jamaican takeout here in Toronto. And a close second was the Pâte Chinois that I ordered in Quebec City. I want to try making my own version this year. Drink - I always seemed to pick up a bottle of white Veille Ferme when I went to LCBO this year. It was a recommendation of my uncle's a couple of years ago and I always think of him when I pick up another bottle. New Clothing - I can't say for sure this is my favourite piece of new clothing because I just got it and have only worn it once, but the Patagonia Down Jacket that Dave gave me will probably become a highlight of my weekend wardrobe. It is nice and light so it is easy to throw on to do errands, etc. Dave got one for Christmas last year and wears it all of the time. Toronto Moment - This isn't technically a Toronto moment but I couldn't really think of anything else. 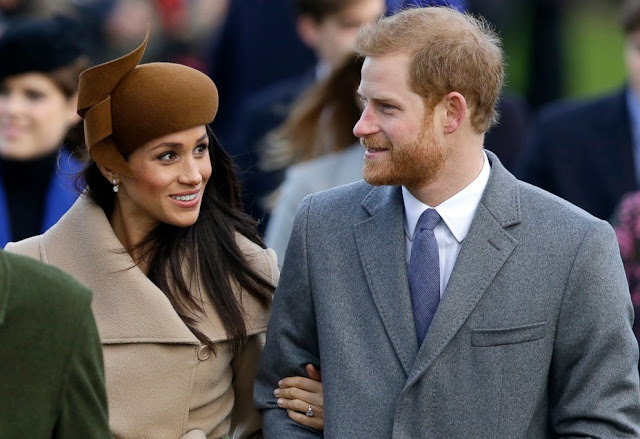 I was so happy to hear the announcement of Prince Harry and Meghan Markel's engagement. They did meet here and she lived here for awhile so we can sort of claim her as our own. Canada Moment - We are big but we are also small. When Stuart McLean and Gord Downie both died, and when Peter Mansbridge retired, people from all across the country shared their memories of these people and we all shared in our sadness (well not really sadness for Peter, but you know what I mean). There was a video of Justin Trudeau going into the CBC booth on Canada Day to wish Peter well; various people in the House of Commons spoke about Gord Downie; and of course Twitter was filled with stories and lovely memorials. When you contrast that with what happens on a daily basis in the US, it is a good reminder that we really are nice. House Thing - Our backyard received an overhaul the year and we love it so much! Although we had patio stones and some garden space, most of it was just a slope of dirt and it did not lend itself to a good play. Now we have grass and we are excited to set up the kiddie pool and play some games up there this spring and summer! I didn't really take any photos of it on purpose, but here are a few I found throughout my posts that show you what it looks like. Next year the treehouse will be undergoing some renos. New Restaurant - We didn't get to too many new restaurants this year, but we did try Campo on Jane St. It is within walking distance but too small to be really kid friendly, hopefully we will get back to try it in the new year again. E Moment - I have been proud of E this year, especially as he entered Grade 1. He has improved at getting his work done but more importantly he is involved in a number of things like Eco Club and the holiday choir. He is also such a nice boy and think of others. When they had Candy Grams at school for Christmas, he made sure he bought some for a couple of boys who hadn't got one yet and were kind of upset about that. Q Moment - Q is turning into a little kid rather than a baby and his personality is starting to shine through. He loves to run up to us for hugs and snuggle with us. He is such a sweet boy. Dave Moment - Dave set a goal last year to run 2,000 kilometres in 2017 and he has pretty much done it. He has 10K left that he will run today. 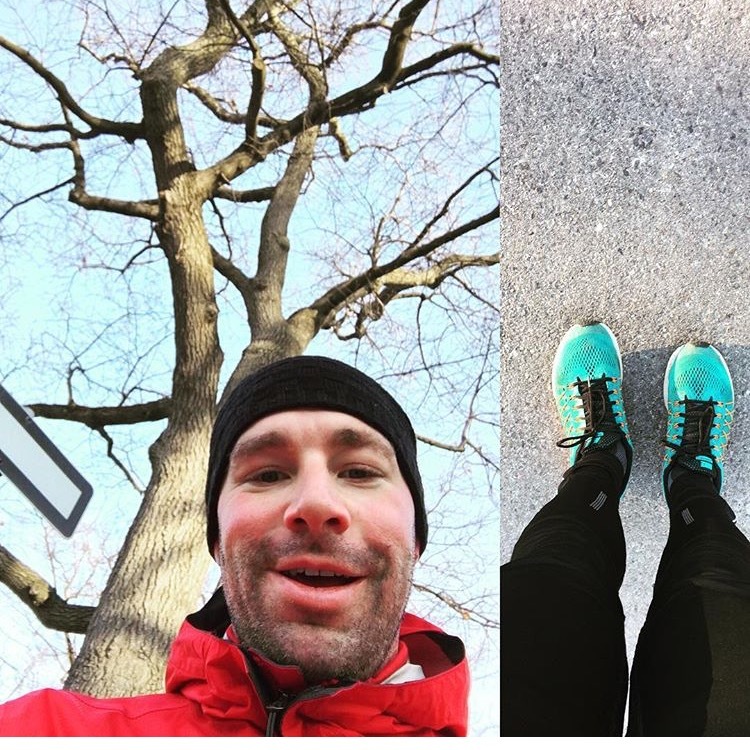 He worked hard to get those Ks in each week, ran two half marathons, and a full marathon. He was out in the cold weather, rain, and humidity. I am proud of him for achieving his goal!! This was his first run of the year. What an awesome recap of this year! Loved so many of the same things. Good for dave and you are raisinv two awesome kids! Happy new year! I loved The Handmaid's Tale, too! I can't WAIT for Season 2!